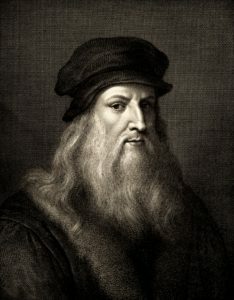 A research on Leonardo Da Vinci’s mom conducted by Martin Kemp, a professor of art history at Oxford University, seems to have demonstrated that she was neither a peasant nor a slave from North Africa or from some eastern country as most scholars believed, but a poor girl knocked up by an ambitious lawyer. Until now, the only thing that was known about her was the name, Caterina. Kemp has provided the missing piece, giving her a surname, and therefore an identity: Leonardo’s mom was Caterina di Meo Lippi. Caterina was a common name for slaves at that time. “What had become progressively attractive in the public domain was that Caterina was a slave, an African slave, or even an Orien- tal slave. Caterina was a name that tends to be given to slaves,” said Kemp according to whom Leonardo’s mom was a local girl from a poor family who was only 15-years-old when, while living with her grandmother in a decrepit farmhouse near Vinci, she was seduced by a local lawyer. “Tuscany set up a very early system of wealth tax and rates on the val- ue of a property. So, this is an absolutely fantastic record because everyone had to submit returns. Of course, everyone pleads poverty. They all say ‘this house is falling down, but inspectors went round. In the case of Vinci, they verified that Caterina’s father, who seems to be pretty useless, had a rickety house which wasn’t lived in and they couldn’t tax him. He had disappeared and then apparently died young. So, Caterina’s was a real sob story,” said Kemp. Kemp, who wrote his book Mona Lisa: The People and the Painting together with Giuseppe Pallanti, an economist and art researcher author of the famous book Mona Lisa Revealed, has mostly based his research on previously studied documents. ing, and quite con- vincing seems to be the evidence supporting it. The lawyer was Ser Piero da Vinci. Piero worked in Florence, but in July 1451 he took a break and came to his countryside house “exactly the right weeks for her impregnation: nice, summer evening probably in the fields and that was it,” Kemp said. However, things got complicated, as Piero was supposed to marry another woman. Thus, to keep everything quiet and avoid ruining his wedding, he provided Caterina a dowry: not much, but enough for her to quickly marry a local farmer “from her own stratum of society” by the name of Antonio Piero Buti, who gave her one more son and four daughters. Just a few miles away, Leonardo grew up with his grandfather, con- templating that nature around him that was destined to remain forever the most important inspiration for his genius. For his part Piero, now married to the woman he was promised to, did not forget about Caterina, although he probably did so with his son Leonardo, as he reappears in documents studied by Kemp to help her in conducting a minor legal transaction for her husband. Besides old documents, the two scholars also found new ones which allowed them to discover that Lisa Del Giocondo’s husband, Francesco, was not a Florentine gentleman as previously thought, but a businessman whose trade ranged from sugar, leather, money, property, to include even female slaves. Following a trawl through 15th-century financial documents held within the archives of Vinci and Florence, Kemp and Pallanti also questioned Leonardo’s place of birth, the famous house in Anchiano that has become a favorite destination for tourists. According to the two scholars, Leonardo was more likely born in his grandfather’s house. Quite interesting are the reasons that Kemp suggests have been an obstacle to reaching the truth for so many years although such truth emerged from documents already studied.